Beautiful and timeless black velvet Gavin will never go out of style!! Thousands of crystals on bodice, skirt & sleeves make this dress a standout in any crowd. 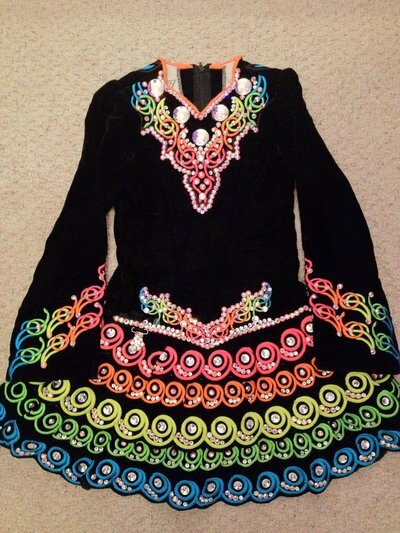 Colors and design suit and flatter any dancer. Material is perfect for accommodating growth spurts without having to purchase another dress!!! Dress can be altered to lengthen or shorten easily. Asking Price: $US900.00. Shipping costs are included for my own country, overseas shipping is extra. Returns are negotiable.